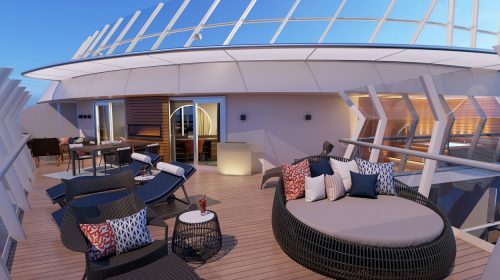 Virgin Voyages latest reveal showcases their unique cabin styling and inaugural itineraries for their first ship, Scarlet Lady. 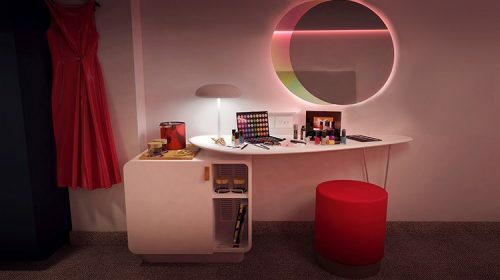 Looking to disrupt the travel industry, Virgin Voyages design choices provide both form and function allowing maximum use of the space available. Scarlet Lady’s will offer four different itineraries of 4 to 5 nights including some with an overnight in Havana, Cuba. 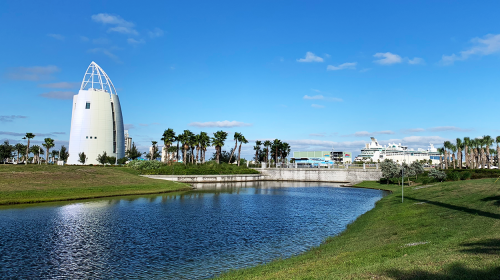 Sailors can enjoy all of the action of the Scarlet Lady and retreat to their private hideaway overlooking the ocean, with 93 percent of cabins offering an ocean view and 86 percent featuring a Sea Terrace. 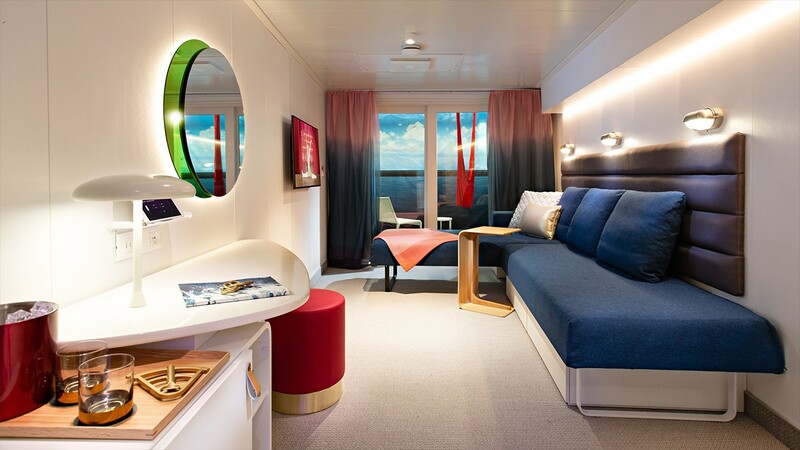 The sea will be the headlining star of the cabins aboard the Scarlet Lady with Virgin Voyages’ exclusive patent pending cabin layout designed by PearsonLloyd with Virgin Voyages’ Design team, which uses intelligent architecture to optimize space and views of the ocean. 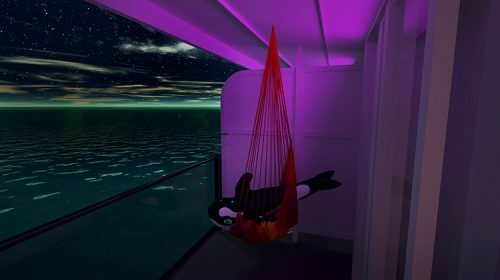 The cabin is custom-created to accommodate the Seabed, the first-ever transformational cabin bed at sea, specially engineered and handcrafted by Walter Knoll in Germany. 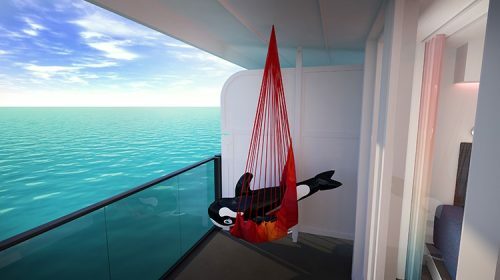 The concept of the Seabed came from the convivial nature of cruising, and gives Sailors more space for social gatherings in the cabin– and eliminates the unspoken awkwardness of inviting new friends over with no place for them to sit but on the bed. 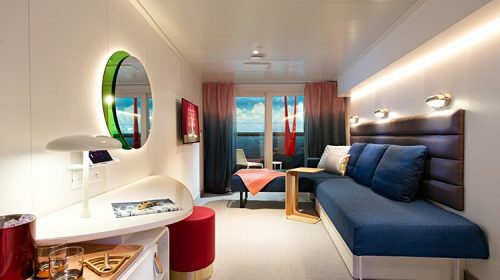 Instead, Virgin Voyages Sailors can enjoy their cabin in two distinct ways as a place to revel or a place to relax. 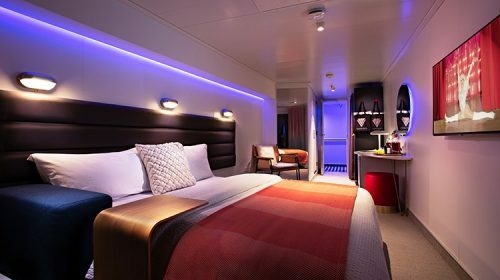 With clever cabin lighting, the mood lighting will automatically adjust to enhance the time of day based on where the ship is in the world, reflecting the blue seas and the gold to purple sunsets of the Caribbean waters. 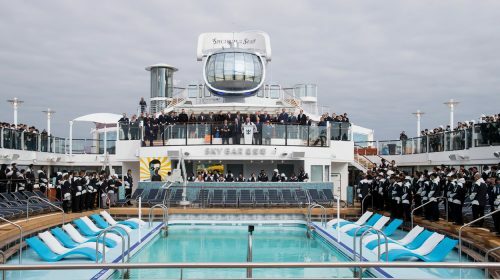 The cabins will feature PIR presence sensors that automatically detect when someone has left the cabin and go into energy saver mode, where blinds will close and air conditioning will adjust to an eco-saver temperature, conserving energy to support the company’s commitment to operate one of the cleanest fleets at sea. 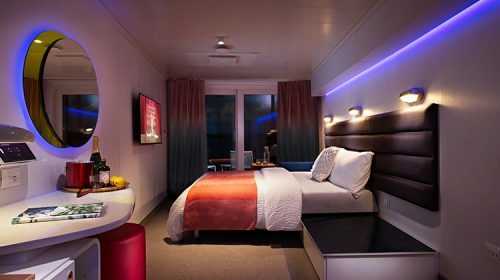 With thoroughly thought through design, Virgin Voyages deliberately chose to use top quality materiality throughout the cabins, like a saddle leather chair, complete with with refined stitch detail. 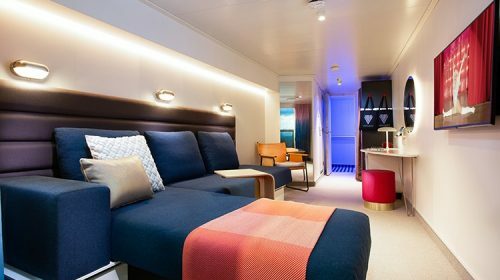 Most standard cabins will have transitional Seabeds, in-room entertainment with 43”+ 4K flat-screen HDTVs, mini bars, glam areas and flexible wardrobes. 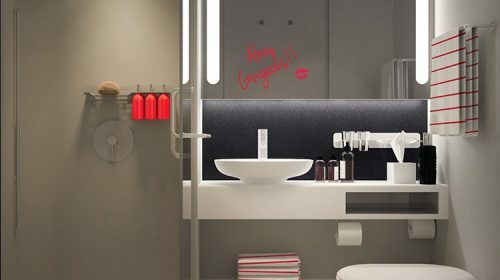 All cabins were engineered to optimize bathroom space featuring rain shower heads for a spa-like wash.
With several cabin categories there are 1,330 cabins aboard the Scarlet Lady and 78 RockStar Suites. 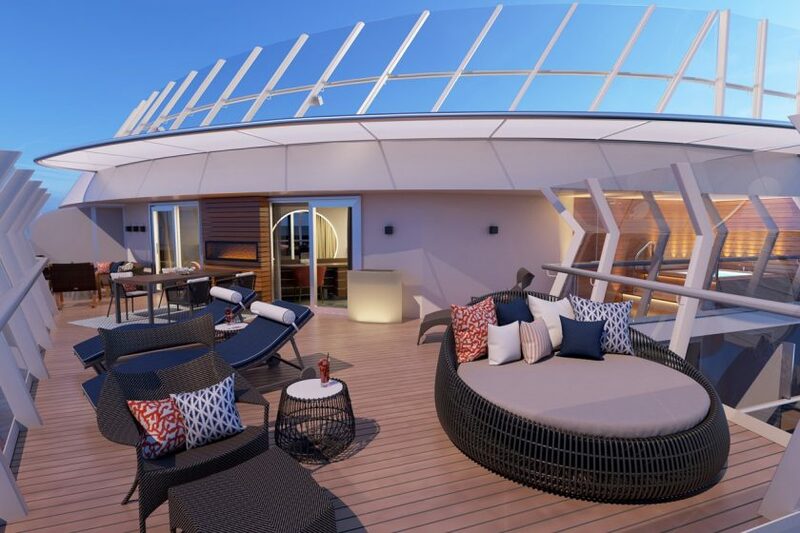 Every Sailor wishing to voyage aboard the Scarlet Lady can find their special hideaway with roomy XL Sea Terrace cabins, Sea Terrace cabins Sea View cabins, Insider cabins, Social Insider cabins that sleep up to four in a chalet-style bunk and Solo Insider cabins designed and priced exclusively for the solo traveler. The Scarlet Lady will embark from Miami at 7pm on a series of 4-5 night voyages to the Caribbean. 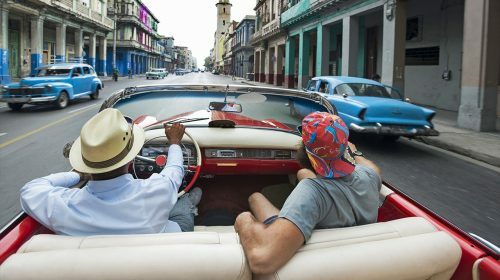 Havana After Dark itineraries will take Sailors on a cultural quest through Cuba, with an overnight stay in Havana that will afford Sailors ample time to explore and visit Cuba’s warm and friendly residents through people-to-people exchanges. 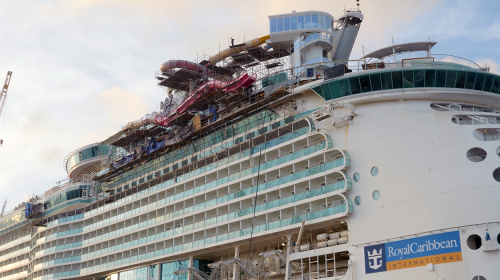 The Mayan Sol itinerary will be a five-night voyage to Costa Maya, Mexico where antiquity contrasts modernism, with Mayan ruins just a stone’s throw away from the port and colorful coral reefs that lie just off-shore. 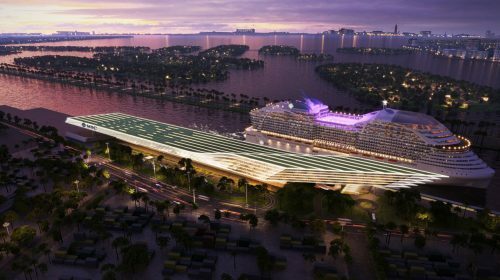 Virgin Voyages has partnered with ITM Group to bring Sailors to this incredible paradise filled with rich history and excitement. 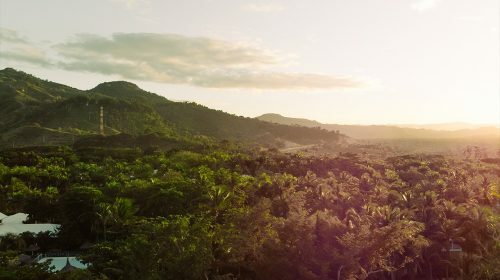 The Dominican Daze voyage, will journey to Puerto Plata, Dominican Republic on a five-night sailing. Voyages to Puerto Plata will be an ocean lover’s dream holiday. Puerto Plata is the perfect place for Sailors to catch some waves at surf school, explore trekking through canyons or catch a cable car up the mountain to buy handicrafts in an artisan village or enjoy endless island views. 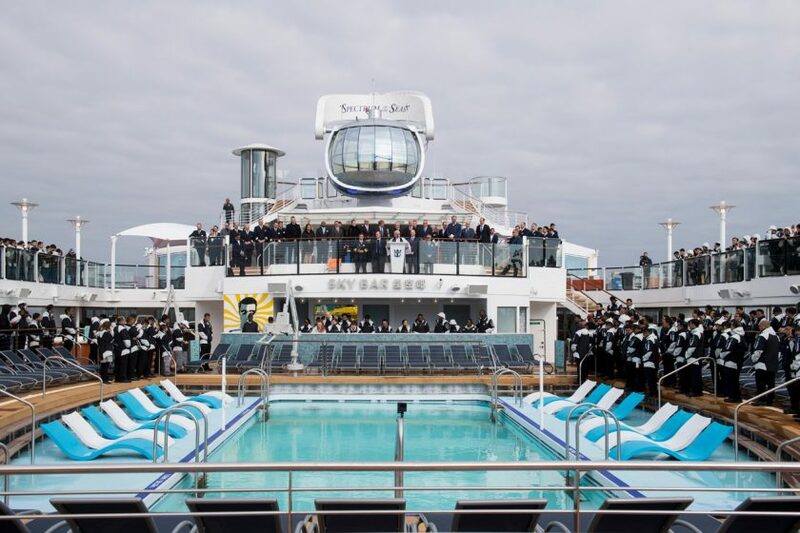 Sailings for the Scarlet Lady’s Inaugural 2020 Season will open for bookings on February 14, 2019. 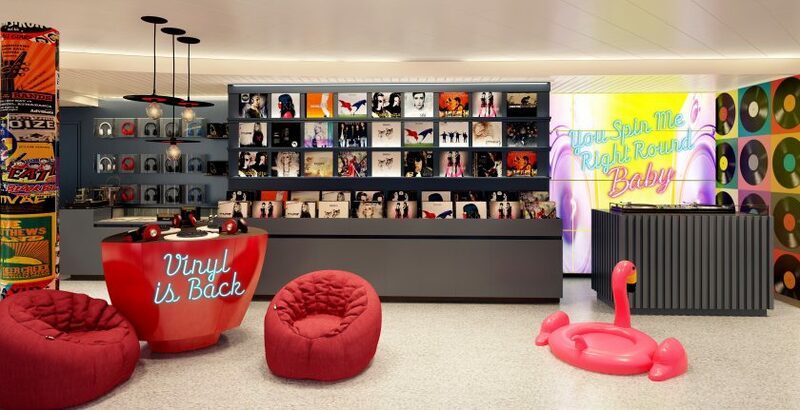 For more details visit Virgin Voyages website.